Candy is nice, but…, originally uploaded by Pepa Quin. 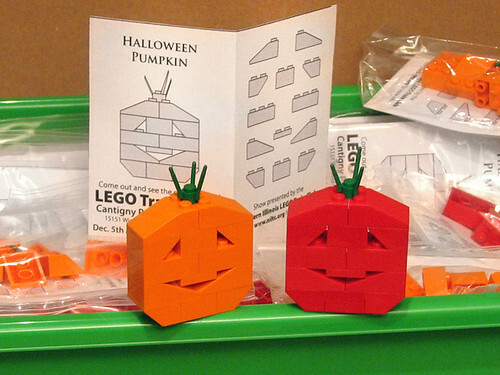 Instead of handing out candy this halloween Pepe Quin is handing out a pumkin model that he designed a few years ago. He has been doing this for a while now, but added red pumkins this year for variety. I mentioned on an earlier post that LEGO was coming out with a build-on LEGO Star Wars Nintendo DS Lite Case with printed tiles and it only makes sense that it wouldn’t be a one off product. The new LEGO Indiana Jones DS Lite Case is just as cool with an equally awesome tile picture on the front. It looks like both cases will be sold wherever Nintendo DS accessories are available, although I did check Gamestop.com and I didn’t see either one available (at least not yet). Both Toys R Us.com and StarWarsShop.com have the Star Wars Case available, it looks like Toys R Us is the only one selling the Indiana Jones one at the moment. For some reason its for “pre-order” at the Star Wars Shop, but “in stock” at Toys R Us. 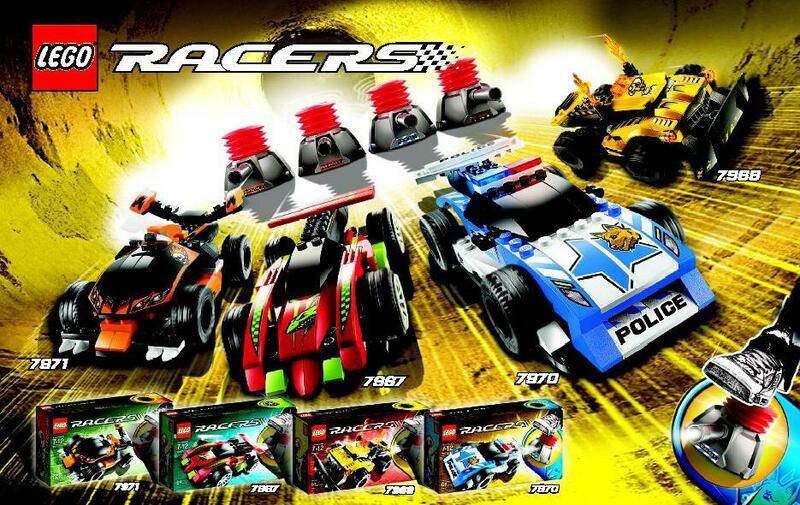 I don’t really have an opinion on LEGO Racers, since cars really aren’t my thing. But I’m sure that lots of kids will love it. 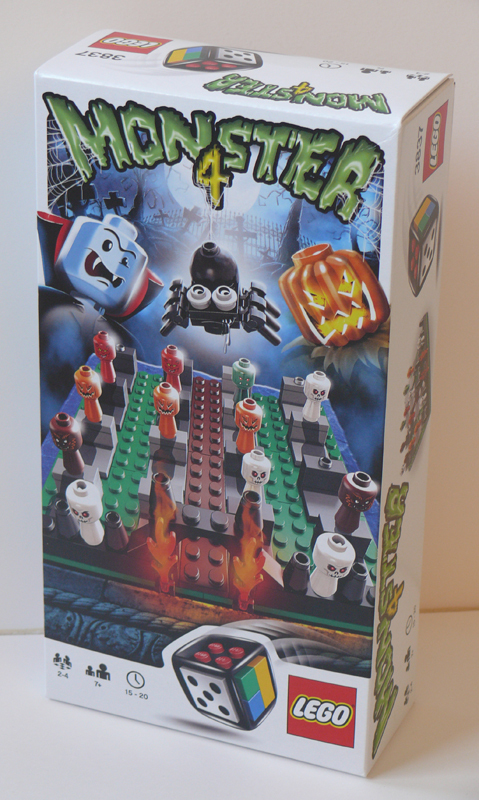 The LEGO Board Games won’t be available in the States till next year, but considering the season, I figured I’d post this very timely set. Over at Eurobricks Oky Wan Kenobi has posted a review of Monster 4. I really like the different heads and the built spider (although he does only have 6 legs). 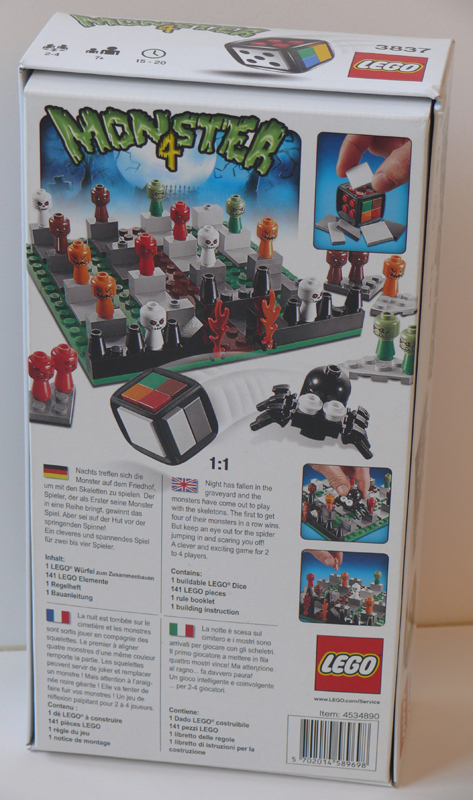 😉 Also, if you notice on the front of the box that the spider has 1×1 round plates with a hole in the middle. This is a new piece. I don’t know if this will replace existing 1×1 round plates, hopefully it will be in addition too. I can see some good uses for that piece already. And of course it comes with the new dice piece. The one thing this set doesn’t have is any of the Microfigs that I mentioned in a previous post. I finally got a chance to look at the Microfig at my SandLUG meeting last week. Andy Grubb, one of LEGOLAND’s Master Model Builders had bought the new set Creationary when he was in Denmark recently. Although they have been tried in the past, the new LEGO Board Games seem to have been better thought out and better packaged. They certainly peaked my interest from the first time I saw them and I look forward to purchasing at least a few of them when they come out. 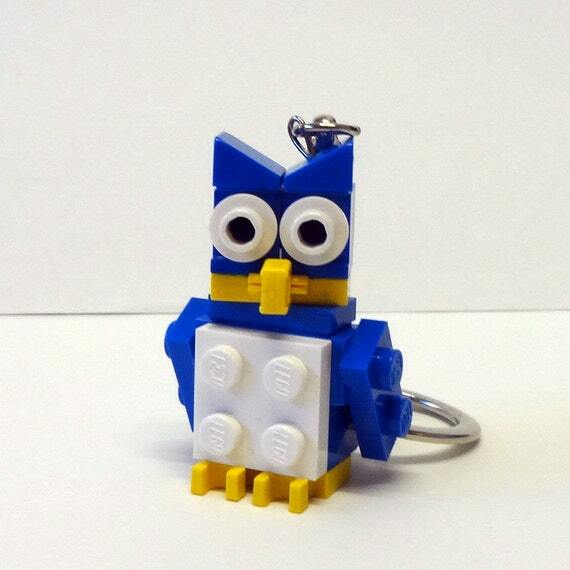 Messick’s development exec suggested he set up a meeting with the Lego licensing and entertainment team. Lego has been busy extending its brand into the entertainment realm, including a live-action movie in development at Warner Bros. (Daily Variety, Aug. 11). Jill Wilfert, Lego’s veep of licensing and entertainment, is driving the push into film and TV. “They were focused on their feature business, but (Wilfert) liked the idea of going into reality,” Messick said. 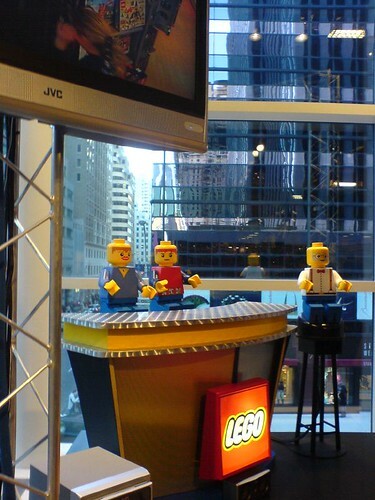 The producer spent time with the company learning about the fandom surrounding Lego – such as three Connecticut-based Lego Masters, who travel the world building massive sculptures for the company out of Legos. Messick is developing a docuseries surrounding them. He’s also looking at creating a gameshow based on a line of Lego board games that are already out in Europe and will soon go on sale in the U.S.
At his disposal is the Legoland theme park, where a competition/ elimination show could be based, he said. “They have some great ideas regarding programming that captures and showcases the inherent creativity at the core” of Lego, Wilfert said. 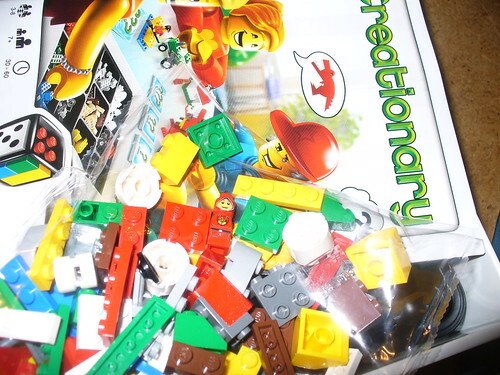 Messick would exec produce any Lego project through his Mess Media banner. Wilfert would get an exec producer credit. I can see this going two ways. Either it will be as successful as Ace of Cakes or it could be a horrible bomb. Lino Martins is a man known for his amazing car building skills. 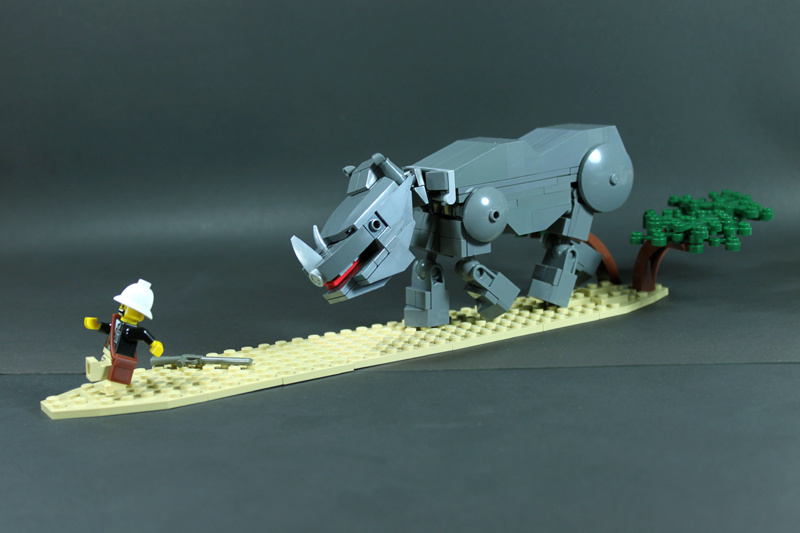 In fact, one of his creations is even pictured in the new The LEGO Book that was just released. His latest the Apache, has a very interesting story to go along with it. 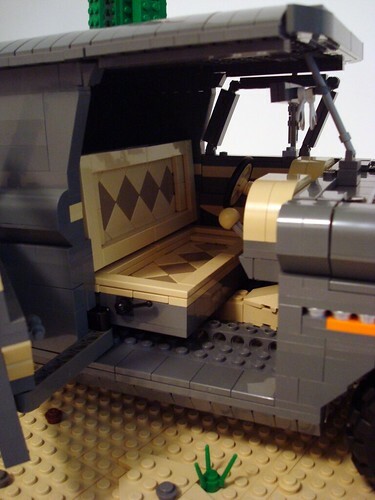 So I built an old truck. Big deal, thats what I always do. Maybe the better story here is not what I did but why. The tune haunted me as long as I could remember. I’d hear snippets of it in my head or it would be playing very softly in some musty antique shop somewhere and just when I’d try to follow it and really understand it, it would be gone in a flash…nothing but a fading ghosted memory, leaving me not even sure if I’ve heard it in the first place. As it was a wordless instrumental tune, it was impossible to research by keywording lyrics…even a mismatched facsimile of lyrics, as what seems to be normal for me. With no lyrics, no name, and no ability to coherently reconstruct the song from memory, my only choice was to wait for the tune to come to me…and it would, but only on certain occasions. Maybe it has to do with its galloping tribal beat or its heavy use of vibrato, but I associate the tune with battle…but only a certain type of battle. Recently, we tuned to a streaming surf rock station on my girlfriend’s laptop. Surf rock is, by in large, wordless and nice to have in the background while doing other things…cool, even badass without being overly distracting. It isn’t overly distracting…unless, of course…that certain song comes on. I’m sure you can imagine my reaction when thirty or so seconds into it, I caught on to what I was hearing. With a racing heart and shaking hands, I scrambled to the laptop to see the name of the song and artist before it was gone…gone for good. I felt an eerie shiver up my spine as I read the title. The song that haunted me…the one that came to me in times of distress, in fight or flight situations and in dreams…the one that occasionally came into mind as a fleeting, ghostlike snippet finally had a name! Apache. Now that it had a name, I vowed to learn as much about it as possible. It was originally recorded in 1960. In name and in sound, the piece conjures up imagery of the American Old West but it was written by members of a British band called The Shadows. 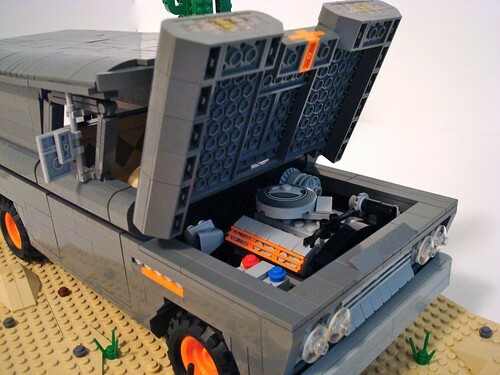 So what does this all have to do with the Lego truck? Its a 1960 Chevy Apache panel truck and shares the same name and year as the song. 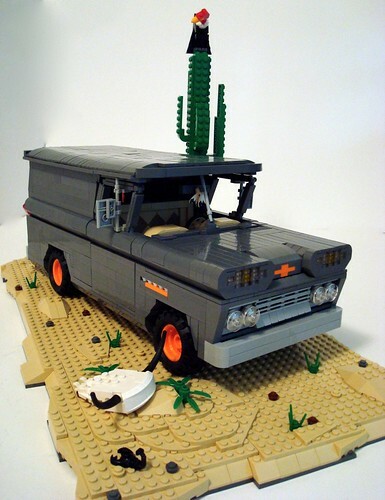 Among some very tricky build techniques, it also features a fully detailed engine, spring suspension, opening rear delivery style doors, an accurate looking gas can, Native feathers hanging from the rear view mirror, specially designed suicide doors and a tricky diamond patterned interior reminiscent of diamondback rattlesnakes. This was built for the LUGNuts 2nd Anniversary Challenge that gave us the freedom to build from any challenge of the previous year. Conveniently, this fit within the “Play That Funky Music” build challenge based on songs. So there you have it…a cool new truck to look at and hopefully a newly rediscovered old song for your playlist. Thanks for reading. I cropped it a tad (yes, it’s longer than this even) and you can read the full description when you click the pictures. Warning, there is some language kids. 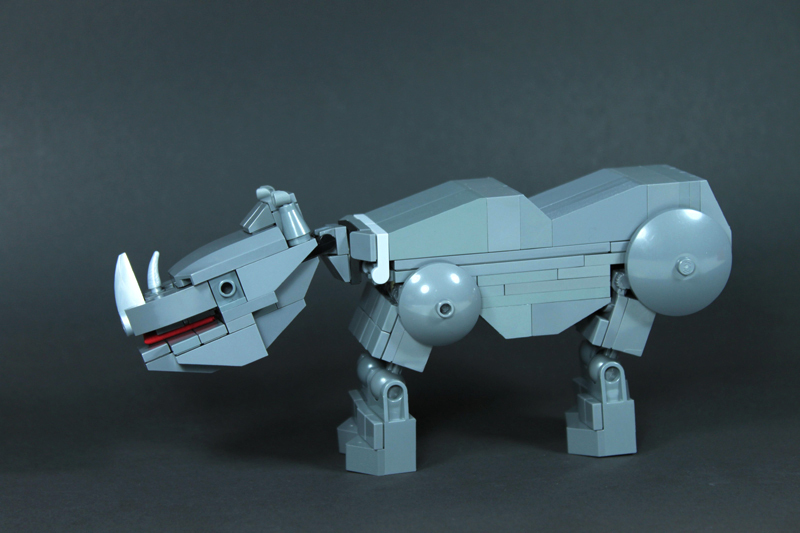 The brick built Rhino is truly stunning! 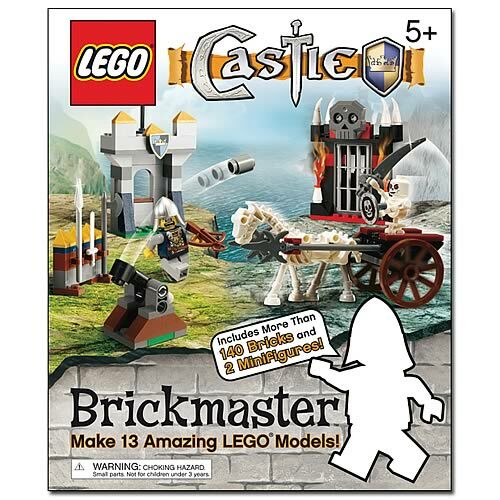 DK Publishing released two LEGO Brickmaster Books this year — Pirates and Castle ($24.99 USD). However, rumors are already starting to fly about one that won’t be available till mid-July of 2010 — LEGO Brickmaster Star Wars. Also, according to Overstock.com there is also a LEGO Brickmaster LEGO City coming out at the same time. I actually just found both the Pirates and Castle Brickmaster books at my local TJ Max (of all places) a little while ago. I didn’t pay $25 though, it was more like $15. In my opinion, that’s about how much they are worth. Yes, they are reminiscent of the Idea Books of yore and you do get a small amount of bricks to build with, but the cost is just a tad too pricey. Also, the book is a little awkward in shape, 3/4’s of it is the cardboard box that contains the bricks. So you have this really thick cover and then about 40 actual pages. 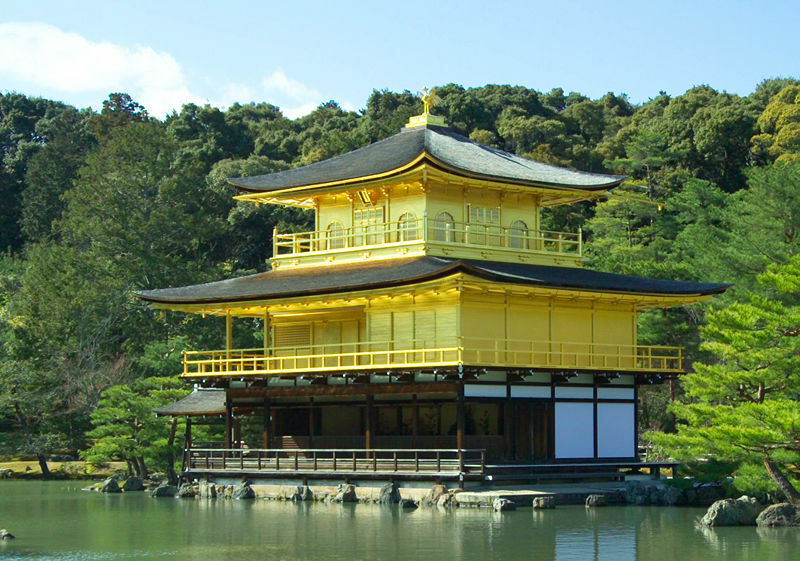 The Golden Pavilion or Kinkaku-ji is one of Japan’s most treasured landmarks. Now the builder known only as Talapz on Youtube has built it out of LEGO in a way I’ve never seen before — Pop-up! A few years ago I was fortunate enough to go to the real Golden Pavilion in Kyoto. It is a stunning building that is actually leafed in gold. Of course the day I went the weather wasn’t quite as beautiful, we had snow, rain, hail and sunshine –sometimes two at once — that day.